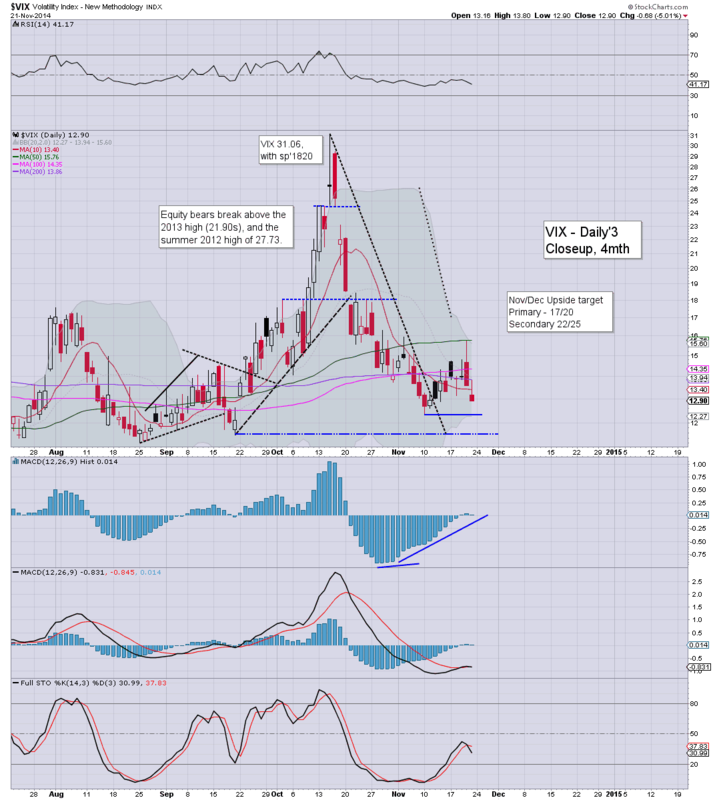 With US equities continuing to break new historic highs, the VIX remains very subdued, settling -5.0% @ 12.90. Across the week, the VIX declined by -3.1%. There is still moderate threat of a (brief) upward spike to 18/20 before year end. *as is typically the case for opex, the VIX was duly knocked lower that 'extra bit' in the closing minutes. Suffice to say... VIX remains bizarrely low, but then.. with the central banks regularly 'meddling'... the world capital markets continue to remain calm. ... that won't always be the case of course. It WILL blow up one day... but that day currently looks a year or two away. It was a day of new historic highs, for the Dow, Trans, and sp'500, which settled +10pts @ 2063 (intra high 2071). With central banks continuing to meddle, the broader upward trend continues. Outlook is bullish into the low sp'2100s. *the retrace zone of 1980/50 - from earlier this week now looks well out of range. 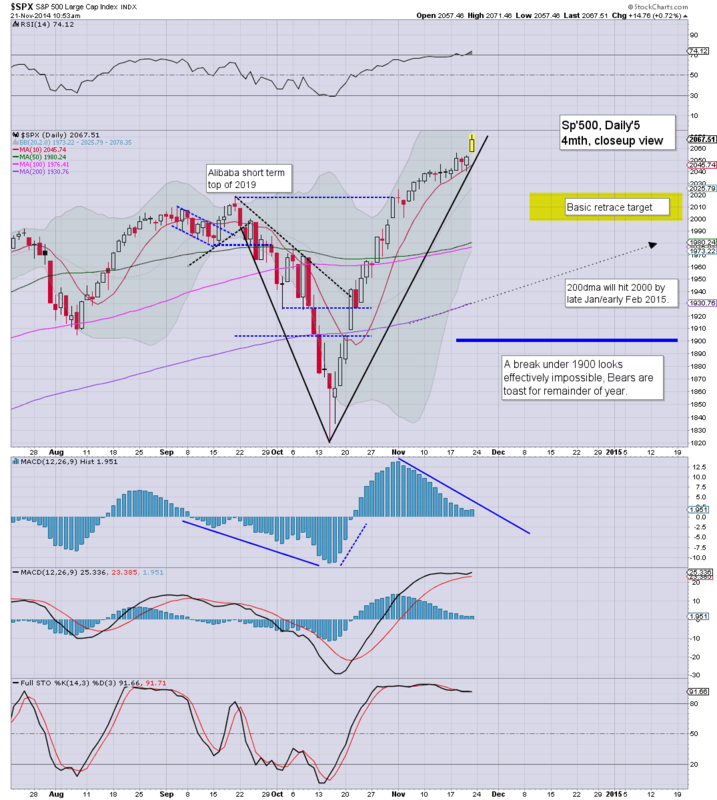 Instead.. at best... perhaps the bears can retest the giant 2000 threshold. However, whether that occurs in December.. or not until Jan/Feb.. is very difficult to say. .. and thus concludes another week in market land. I am really thankful for all the messages this week, especially emails.. it is always great to hear from you! *a FULL set of updates across the evening, to wrap up the week. Little to add.... on what has been just another crazy week in market land. Frankly, the action of the various central banks should disturb not just the usual doomer bears (of which I still include myself).. but everyone in the developed world. This is going to end so badly... print print print..... currency wars lead to trade wars.... and trade wars lead to real wars. Regardless....broader bullish trend is strong... I ain't standing in front of it. 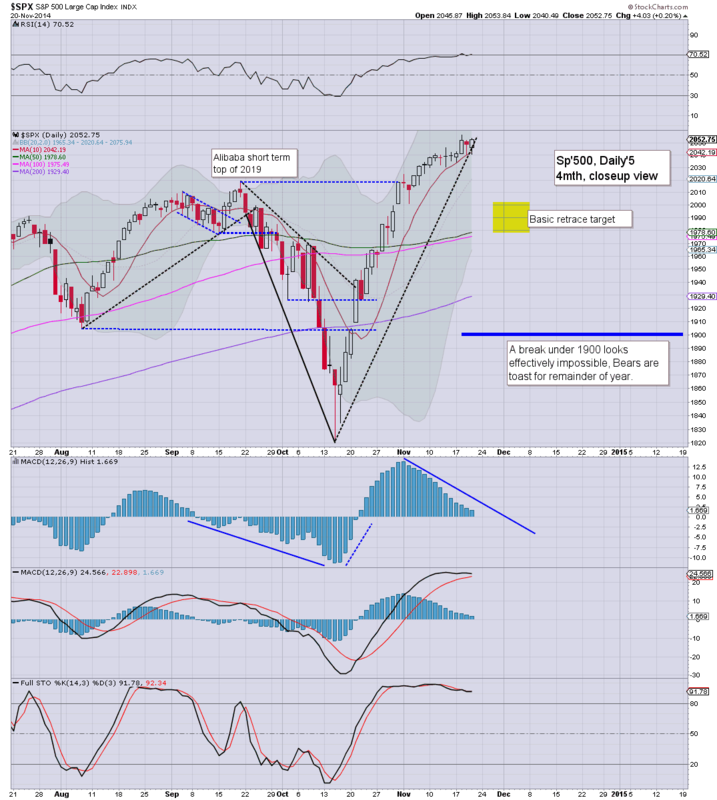 Since the market open, we've seen a steady (if slow) down wave from sp'2071 to 2056. Renewed upside into the weekly close looks likely.. settling somewhere in the 2065/70 zone. 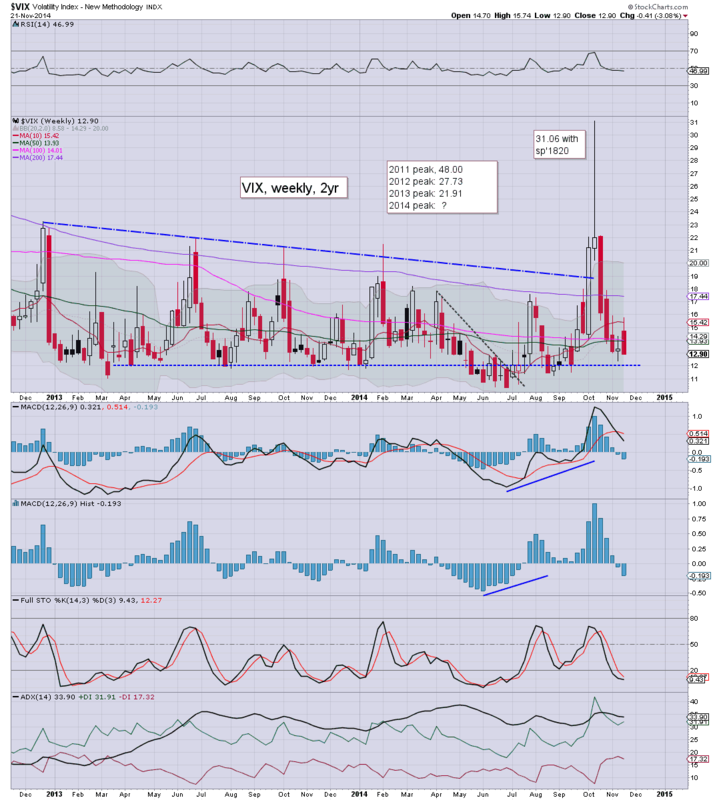 VIX remains subdued... +0.2%... set to turn back red. *metals have cooled... not least pressured lower by a rising USD.. now close to breaking the spike high from summer 2010.. when the EU bond market was real shaky. Little to add... I am somewhat busy.. setting up a new laptop (bullish XRT, INTC)... that will keep me busy this weekend! Notable weakness, Nat' gas -2.7%... but still strong gains for the week. 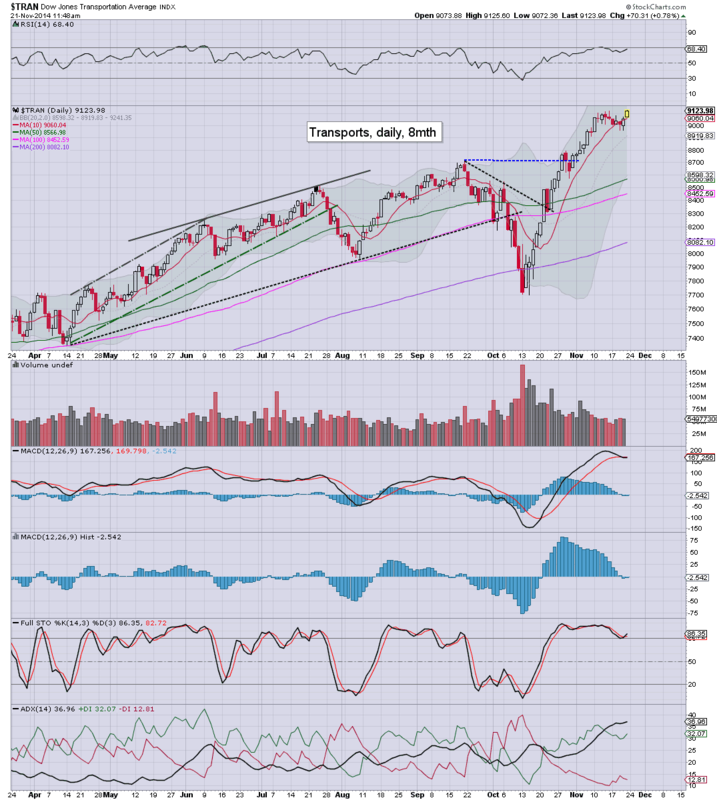 The Transportation index has followed the Dow/Sp'500, breaking a new historic high. 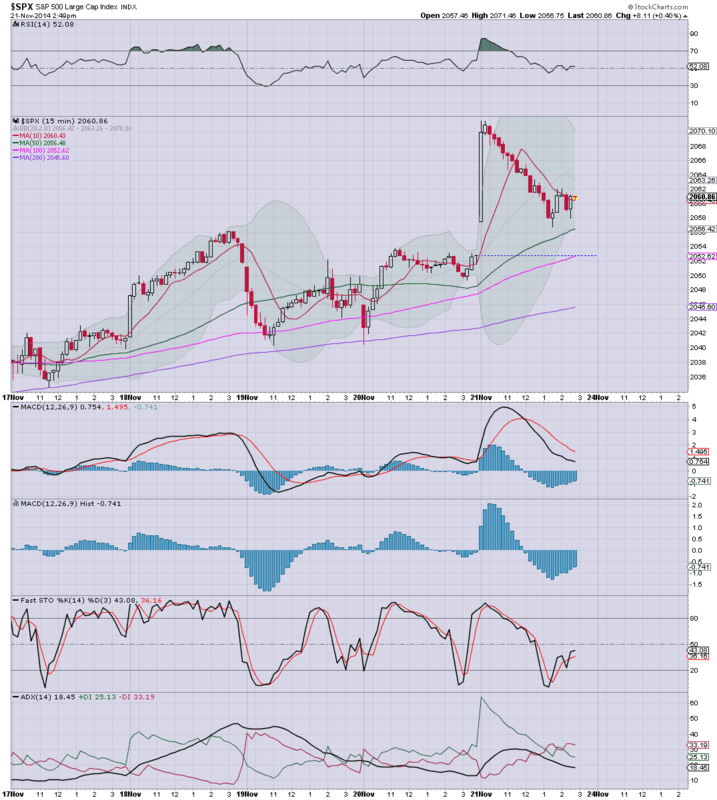 with viable upside to 9250/9300 in the near term... equating to the low sp'2100s. VIX remains subdued, but managing to turn fractionally positive. 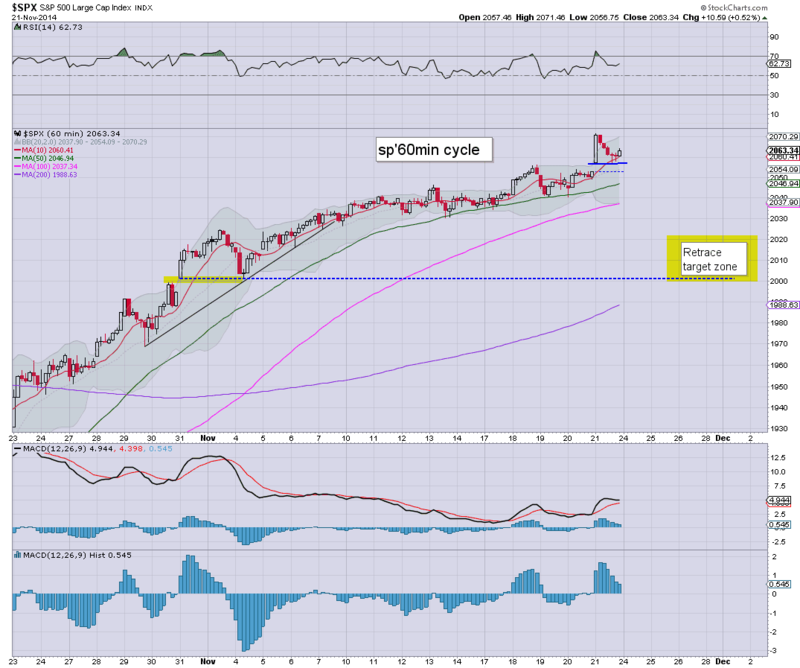 *as noted in recent weeks, it would seem a matter of when.. not if... the Trans breaks the giant 10k threshold. That still seems highly unlikely until next year though. Little to add. A minor pull back from the opening high of sp'1971.. but still.. with new historic highs.. this is no market for bears. It now seems highly probable that we'll see the sp'2100s before end year... and both Riley and Carboni will have a lot to pleased about. time for a long lunch.... back at 2pm. US equities are comfortably holding moderate gains, with the sp'500 having hit a new high of 2071. VIX is in classic melt mode, with the 12s seemingly likely by the close. Metals are holding gains, Gold +$9, which is helping the miners, the ETF of GDX +2.3% in the low 20s. *note the upper bol' on the daily.. 2078.. that would be best upside case for today. With new historic highs, the notion of some kind of strong late day sell down seems highly improbable. Indeed, why would we not see further grind higher into the weekly close? With the Chinese and European central banks taking action.. (with no doubt.. much crazier stuff to come)... there seems no point in anyone attempting short side trades.. at least until we're in the low sp'2100s. The above chart is very speculative, but we're only talking about another 2% higher. If the current hyper-ramp from sp'1820 concludes around 2110... a 38% retrace would offer 2000..... where the 50dma.. and many obvious natural supports are. So... 2100/10.. then 2000 ? Even if that is correct, a brief fall to 2000 might not occur until late Jan/early Feb, which (for whatever reason) tends to be a weak period. Notable strength, Oil/gas drillers, RIG/SDRL, both higher by around 2%... no doubt the bounce in Oil prices is helping. However, I am still holding to broader weakness in Oil to $65/60.... which should pressure the energy stocks into early next year. Weakness... airlines, DAL, UAL.. -2% / -3% respectively... reacting to higher oil. US equities are sharply higher, as the Chinese central bank have cut interest rates, sp +18pts, we're set to open at a new historic high of 2070. Metals are on the rise, Gold +$8. Energy is mixed, Nat' gas -3%, whilst Oil +2%. 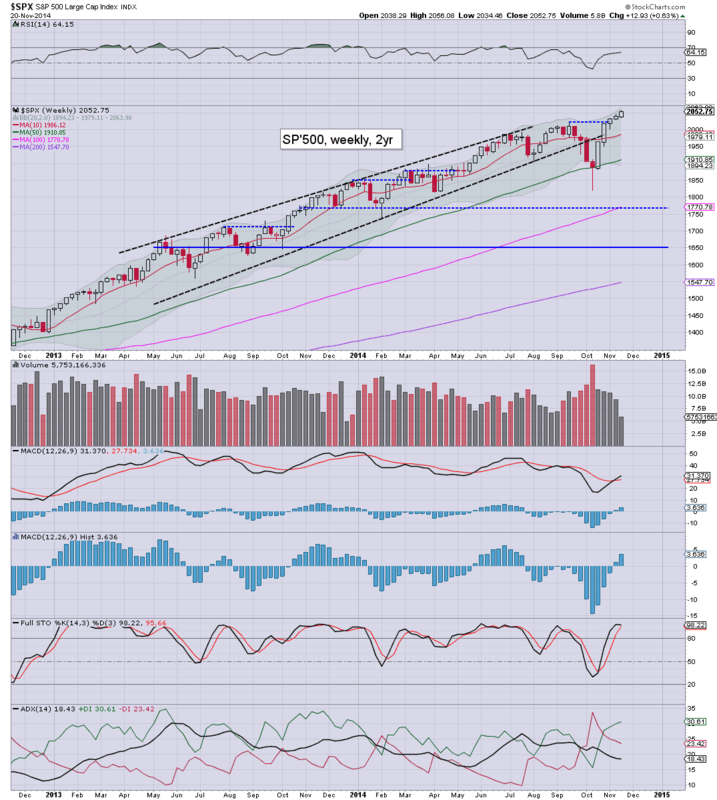 Without question, the bulls are going to manage a significant net weekly gain of 1.5% or so. Gods help us all... this is going to end really badly for most of us. 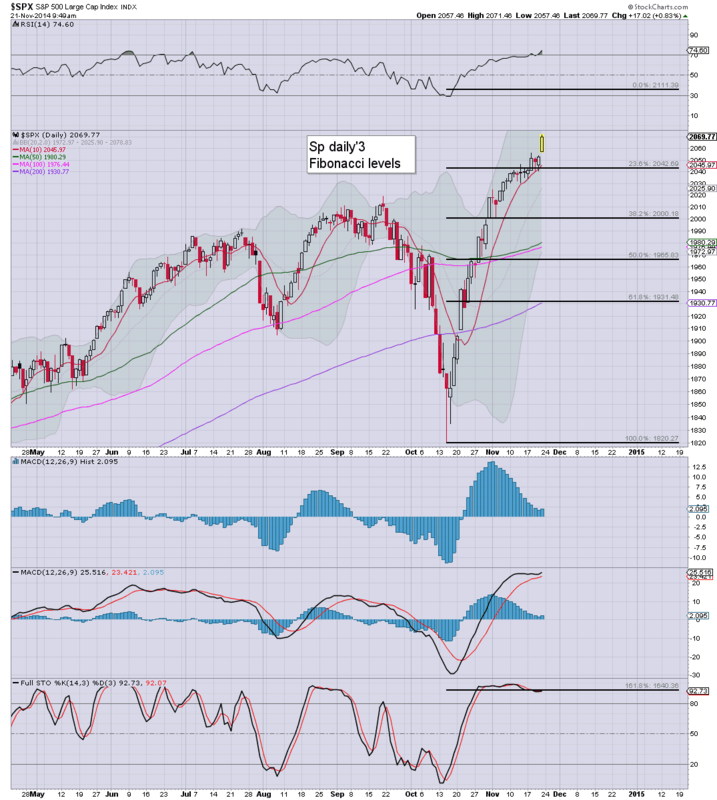 8.51pm.. so... sp'2070... with Dow 17870.... the 18000s are 'just about' feasible today, which is truly bizarre. VIX will likely melt into the weekend, 12s seem due. *ECB have announced they are buying 'asset based securities'.. aka.. from the banks.. TODAY. It remains the case they do NOT have authority to buy Govt' bonds from individual countries. Hell... how long until the ECB are buying STOCKS to inflate asset prices? 6mths... 12mths ? Another day of moderate price action in the US equity market, with the sp' settling +4pts @ 2052. 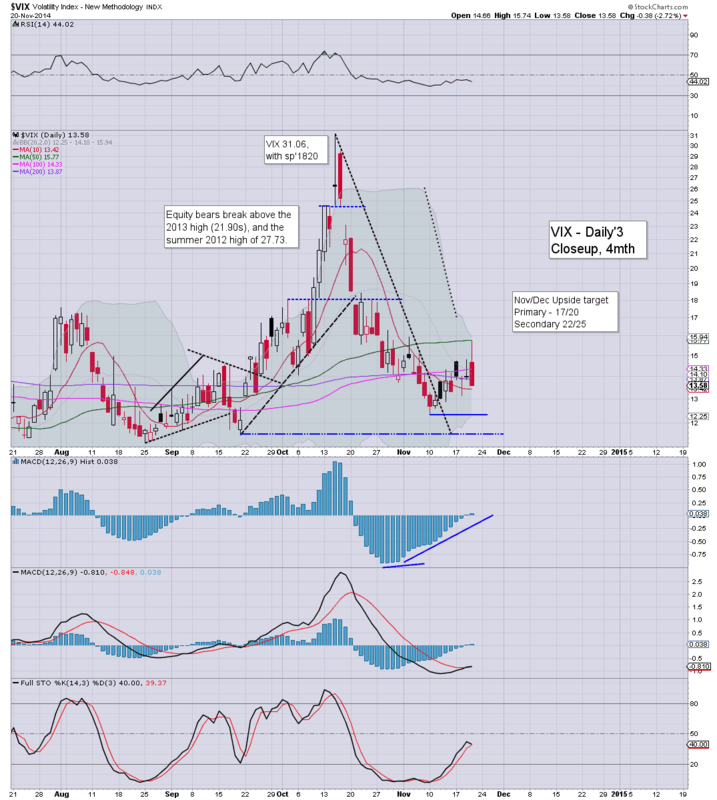 VIX continues to reflect a fearless market, stuck in the low teens. 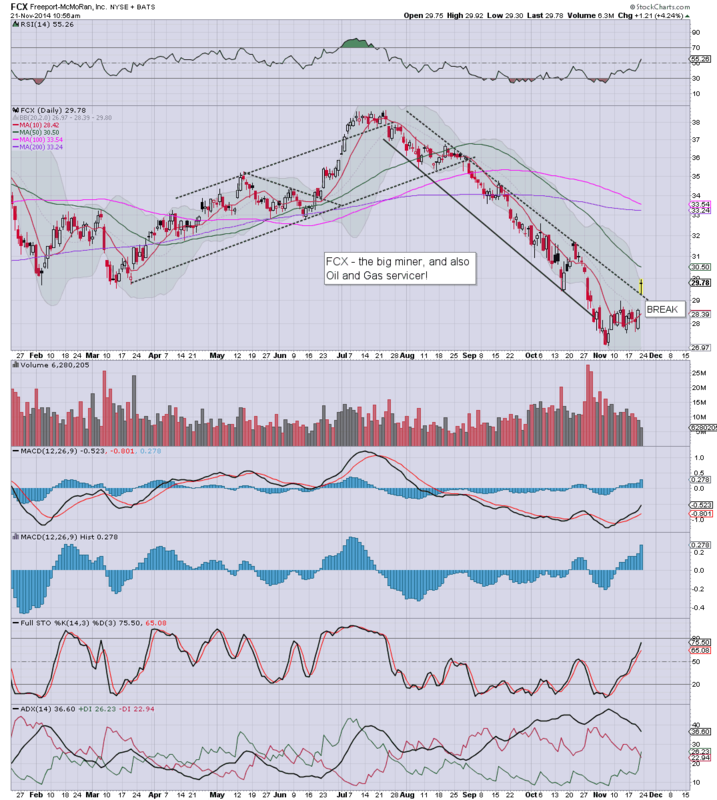 Outlook into spring 2015 is very much for further broad market upside. For the equity bears, it was just another cruel early morning tease.. a decline of a somewhat laughable -0.6%... to sp'2040... only to reverse.. with a rather typical latter day recovery. The fact we closed a mere 4pts shy of breaking last Thursdays high, only adds to the concern that rather than a retrace.. it might merely be a case of 'straight up into the 2100s'. I'm still not sure what to make of the early VIX action, where it briefly spiked to 15.74. I've not seen any explanation for that. I guess most will merely deem it a 'rogue print'... but exactly how does that happen? In all these years, I've never seen anyone.. mainstream or otherwise, make any serious attempt to explain the underlying cause. Riley.. along with Carboni are two of the semi-mainstream.. both have been calling for the sp'2100s for a considerable time, and both look set to be right. The only issue is, what will they say when we reach their target. The 2500s? There is no scheduled data due... Friday will merely be opex... so expect some chop, especially in late afternoon.